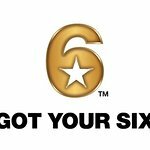 Got Your 6 has announced six new projects have received its 6 Certified designation, a program that recognizes film, television, theatrical, or digital content that accurately portrays veterans as leaders and civic assets. The projects range from CBS’s new show “SEAL Team,” the Tina Fey-produced “Great News” on NBC, and the biographical film “Rebel in the Rye” about WWII veteran J.D. Salinger. The current members of the 6 Certified Review Committee include: Bruce Cohen, producer of “American Beauty” and “Silver Linings Playbook”; Charlie Ebersol, chairman and founder, The Company; Dr. Kimberly Gilmore, senior historian and vice president of corporate social responsibility, HISTORY/A+E Networks; Rory Brosius, vice president, ScoutComms, Bonnie Carroll, president and founder, Tragedy Assistance Program for Survivors (TAPS); Tim Norman, director of human resources, DreamWorks Animation; Marjorie Williams, vice president, business and legal affairs, Endemol Shine North America; Matt Mabe, director of strategic operations, TAPS Red Team; and, Bill Rausch, executive director, Got Your 6.